I just found out about a mod called LittleTiles. Holy balls, this is insane. In my eyes, this is a Chisel & Bits killer, although it is said that both mods can live next to each other. Restarted it. Server already has a schedule where it restarts every 48 hours. Server has 6 gb's of memory. I'm having some problems with an unknown large number of skeletons having spawned in my basement for some inexplicable reason. I can't kill them. They don't do anything. But they make the game lag whenever I look in their direction (even when I can't see them). They are very near where I used to have a spider Powered Spawner, which may or may not be related (I moved it and turned it off for now). If anyone has any ideas of how to get rid of them, please let me know. I have no clue what is causing that, I'd say the powered spawner might have something to do with it. Keep it offline to see if those skellingtons still show up. How come I haven't seen you in the game, by the way? I'm currently playing on a vanilla server. I'll pop in at some point though. The possibilities of Chisels & Bits are endless. Very nice hot tub there, Rim, what else you made? Wait, do you need me to update configs, Rim? I didn't actually checked the log for messages, I'll look now. File is reuploaded and server rebooted. Will look for a retrogen message now. I have enabled it. Confirm if it worked. Final attempt. If this fails again, I'm done. Special thanks to Rimrook for his contribution. Closing this old thread now, new thread here. Ah nice, thanks, that should come in handy even for me. Right. So how do you save the tga file with the correct origin in Photoshop? Don't tell me I have to get Gimp just for this purpose? 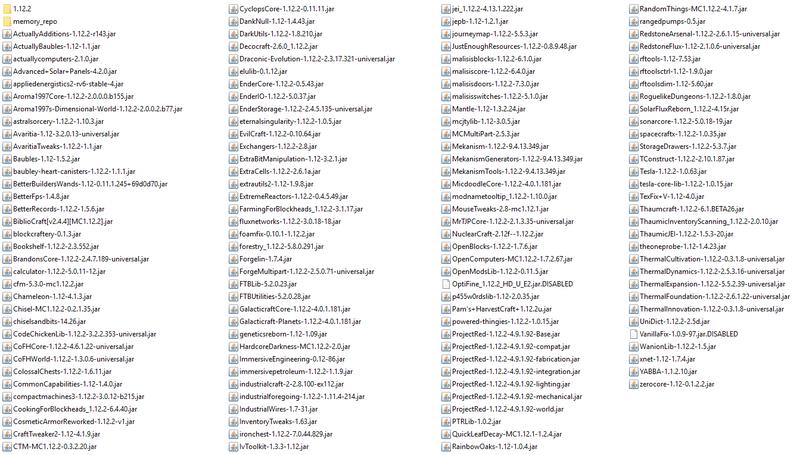 They probably get their icons from the executable files as icons can be embedded in those. That error has nothing to do with scripted_sequences or any point entity for that matter. This is actually the warning that is called "mixed face contents" in previous versions. It is often caused by two planes or two vertexes that almost coincode with each other but leave small gaps (less than 0.1 unit). Open the .map file, not the .rmf file, then go to that coordinates, zoom in and see if there are tiny gaps between lines, like in the picture. If there are, remake the brushes in your .rmf file. If you still can't fix it, try to convert the brushes to func_details, which will eliminate the "ambiguous leafnode content" warning and minimize its consequence (but it won't fix the gap). If what has the "Ambiguous leafnode content" problem is an entity (such as a func_wall), you can also manually add keyvalue "zhlt_detaillevel" "1" and "zhlt_clipnodedetaillevel" "1" to the entity, so that it takes the advantage of detail brushes. Make sure that when you work with brushes, you have snap-to-grid enabled. So I did some experimenting with your icon, but whatever I do, the icon is always rotated 180 degrees in the taskbar and I can't figure out why. Maybe it is a Windows or Steam issue. Also I think having an actual ico file in your mod folder is unnecessary, unless you want a desktop shortcut of your mod. Otherwise a single tga file is all you need. I did however figure out that if you create two tga versions of your mod icon, one 16x16 file named 'game' and one 32x32 file named 'game_big', or any name for that matter as long as it has the '_big' suffix added to it's filename, Steam will use the 16x16 icon in the library list and the 32x32 file on the game page (when selected). I'm out of ideas for now, maybe any one else has a solution? Dang Focalpoint and your oversized icon. Just out of curiosity, could you send me your tga file so I can see if that rotation happens on my end as well? The Valve Dev Wiki says your icon must be an uncompressed 24-bit TGA file, 16x16 pixels in size and you must not include the .tga file extention in your liblist.gam file. What's weird though, the singleplayer mod Half-Life Echoes uses a 32-bit icon file. It also has the same icon but as an actual icon (.ico file) file. Focal Point has .ico and tga icon files, both are 32x32 pixels and are 32-bit. What. So it's a little bit unclear what the rules for mod icons are. I've never had my mod icons rotated 180 degrees though. Maybe Paint.net is saving your tga's in a different tga format that Half-Life/Steam can't read correctly. Other than that, I have no clue. 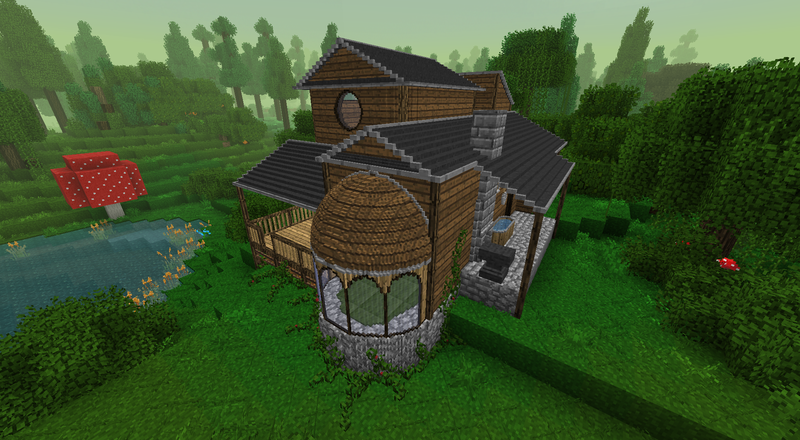 If you like designing houses, you'll love the Chisels & Bits mod and the ArchitectureCraft mod. So where do I place these files? Actually, I'm not including EnderZoo but will include Mekanism Generators. Well, I thought any required dependencies were obvious, what i meant was, for EnderIO there's an addon called EnderZoo and for Mekanism there's Mekanism Generators. Do you think there's any room left for these? Rim, you're saying EnderIO stuff and Mekanism stuff. What stuff? Do you mean addons? We got Archie in da house! You're welcome to join in and try some modded Minecraft, it's a whole new experience, I tell you. We're just about done picking mods and I'll be setting everything up in the coming days. Two more: Industrial Foregoing and Draconic Evolution? I think that's enough mods. I think I'll go for AE2 with Extra Cells 2 addon. 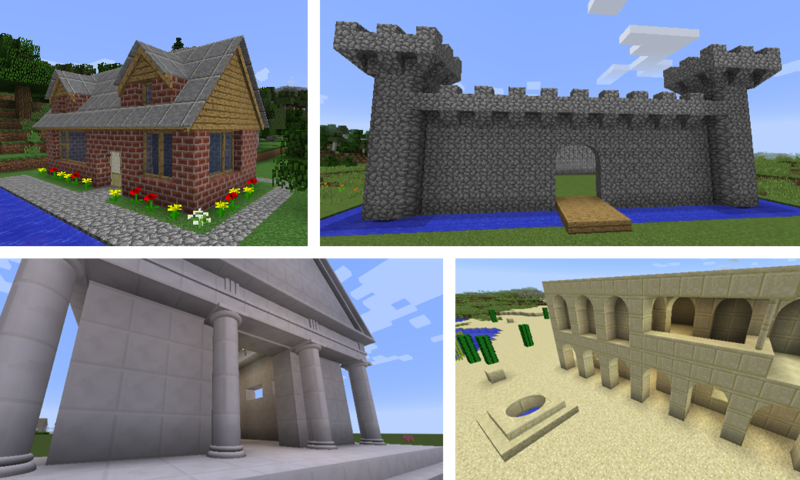 I've used ArchitectureCraft before on 1.7.10, looks like there's a 1.12.2 port available, might be interesting to have as well for those that like building. What about Extra Utilities 2, OpenBlocks, DarkUtilities, RandomThings? Does RS offer higher tier storage components above 64k? With the addon mod Extra Cells 2 for AE2 you get even bigger storage components as well as storage cells for liquids en gas. Does RS have fluid and gas storage cells? If not, then I'd still go for AE2 with Extra Cells 2. Also definitely want to have SolarFlux, that is some cool stuff. Also Flux Networks for wireless power transfer is very handy to have. See, already I cannot contain myself. 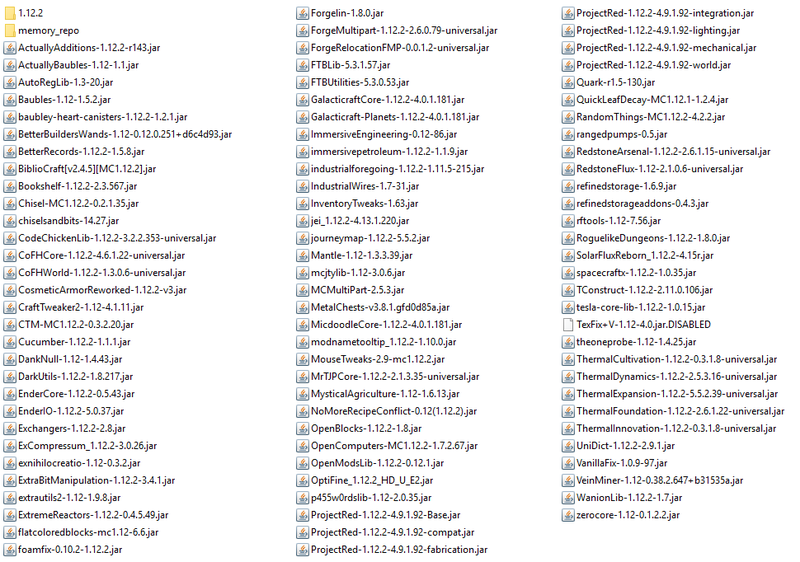 There are some more, but I'm not sure if I'm exceeding the amount of mods we have. Rimrook is right, mods can make the game interesting again. It is true that most mods have a bit of a learning curve which might scare you, However, there are tons of wiki's out there where you can look up information. I'm also very well experienced with most (but definitely not all) mods, so you can always ask me if you get stuck. I think this is half the fun, exploring and experimenting with the new gameplay features that these mods provide. I don't know about Factorio, but I've seen screenshots of that game and I'm sure MC mods don't get that complicated. The goal here is to put together a reasonable small/medium sized modpack that shouldn't take to much system resources. And for fricks sake, remove your santa hat, Rim, geezz. Actually... and don't hate me for it, but I'm having second thoughts. There's barely any interest in this server and I feel like pulling the plug. Not sure what to do. I do want to give this another shot and I would like to give you a fair chance to put together something fun to play but when there are close to zero players active, I feel like I'm wasting money. Hey, if you're really not feeling up to it, let me put it together, it's no problem. It's just that I have two other servers that I need to maintain. Sounds good. Not seeing any tech mods in your pack, so you may want to add some (Thermal Suite, EnderIO, Mekanism are pretty much common). 250!? Yeah, that's a no go. As much as I would like to try it, this pack most likely won't run at all on other people's computers. I actually heard of SevTech and I have some interest in that. How many mods does that consist of? Is there a pack that already exists like what you want, like tekkit or FTB or something? There probably is, but there are so many packs available, I don't even bother looking for one. If you find one that suitable, let me know. Otherwise we continue putting together our own little pack. Keep in mind to keep it reasonably small so more people can try it out without having their computers melt. I... don't know what to do with that information. Also, what launcher are we using? If any. I use the vanilla launcher. Why, does it matter? If you want, feel free to choose some mods and put a small modpack together. That would save me some time. Yes those are very handy to have. What else would like? Tech, building, magic type mods? What do you mean by fixes and interface stuff? I will try to contain myself. Why don’t we figure out which mods are needed utilities and go from there? These screenshots include client side mods. Maybe we should do a voting system? How about... 30, 40, 50 mods max? Should this include utility mods and core/library mods? Or do we only count mods that provide actual content? Client side mods don't count toward the maximum number of mods? What would you like to play? Vanilla 1.13.2, Vanilla 1.14 snapshots, or modded 1.12.2? Good points, Jessie & Urby. Have you every played mods, Urby? This might bring something new to your Minecrafting experience. If we decide to go at it one more time, as long as my server subscription is still going, I want to drastically lower the amount of mods running, to make the game running better on those with less powerful machines. Again, we need to decide on which mods and what kind of mods to choose, like tech, nature, magic, building, etc. Either that, or we try out vanilla 1.13 or even a 1.14 snapshot (may contain bugs). Yeah, at first I wanted only a handful of mods, but you know how it goes, I want this mod, this mod and that one and before you know it, you surpassed your initial number of mods. I guess we could also start over and remove a bunch of mods. This will be tough as there's a lot of good mods out there. I also just very recently learned that there's a thing called Fabric out there, which is some kind of alternative or perhaps even a successor to Forge. People already made mods for Fabric for 1.14 snapshots! Snapshots I say. I don't even know how that's possible. I'm fine with Vanilla as well. I don't think there's an OptiFine release for 1.14 snapshots. I need more people to give me their opinions before I can even do anything. Or not. Then this will be the end of the server. 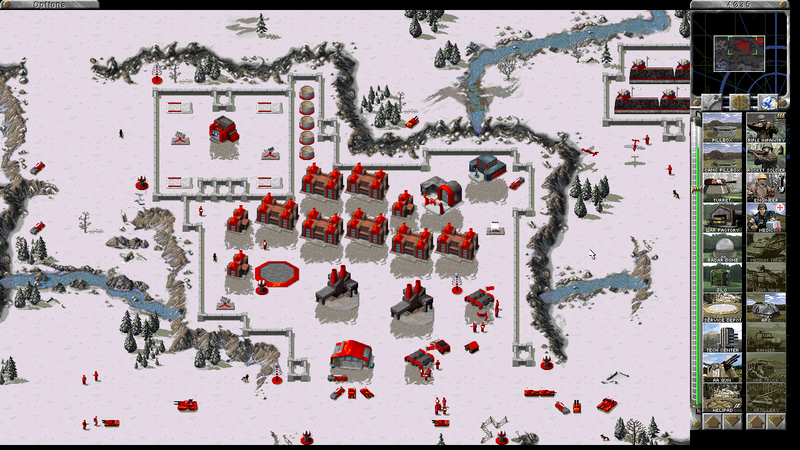 Holy crap, Command & Conquer Red Alert runs flawlessly, even in widescreen at higher resolutions. What a treat. More people need to play. Get on with it! Processed in an unfortunately worthless 1761 milliseconds.